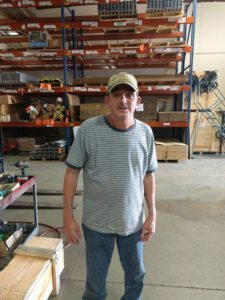 New Face at Spectrum’s Shipping Department – Spectrum, Inc. Spectrum welcomes another addition to our team. Jeff Kazimer comes to us with extensive experience and knowledge in shipping and receiving . Jeff’s role is to maintain efficient operations in those departments. He is a great asset to Spectrum. © Copyright - Spectrum, Inc.